Choose the relevant platform and version then the ‘See All‘ option. 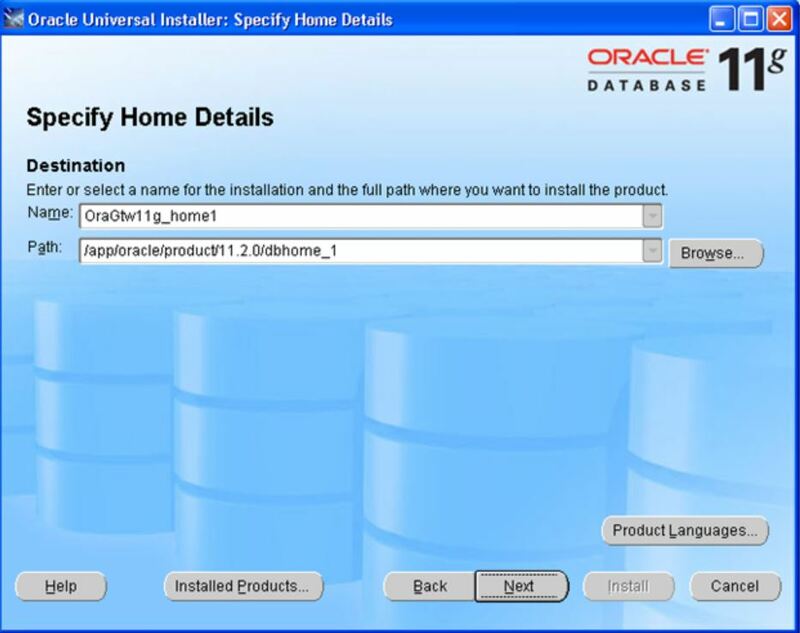 Only 11.2 and 12c versions can be downloaded from this link. 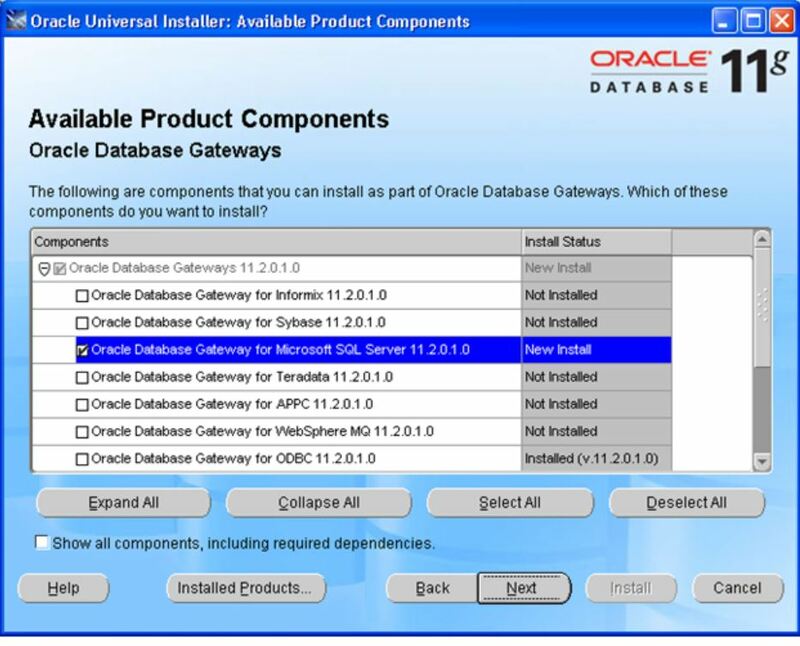 If installing the base 11.2.0.1.0 version you should then apply the latest patchset which is currently 11.2.0.4. The Path field in the Specify Home Details screen is where you specify the destination for your installation . 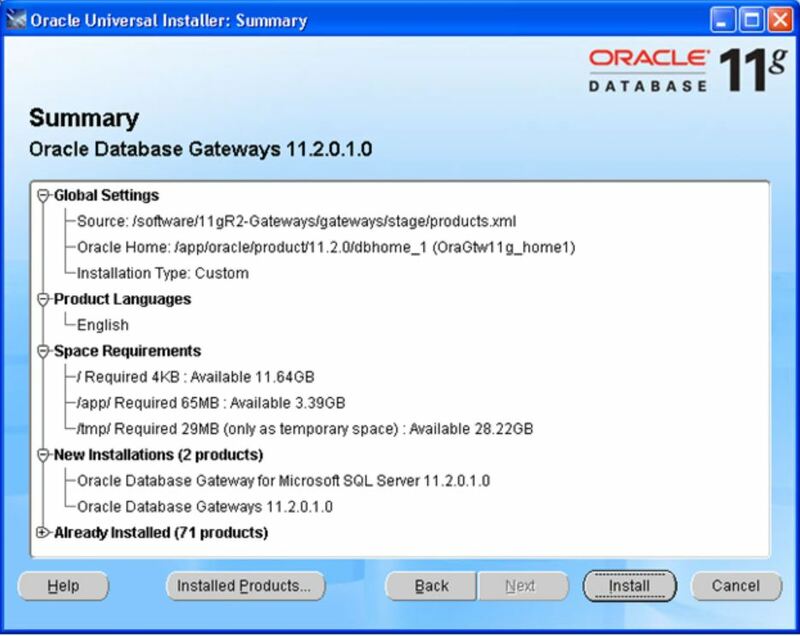 SelectOracle Database Gateway for SQL Server 11.2.
root@host # /app/oracle/product/11.2.0/dbhome_1/root.sh Running Oracle 11g root.sh script… The following environment variables are set as: ORACLE_OWNER= ora11g ORACLE_HOME= /app/oracle/product/11.2.0/dbhome_1 Enter the full pathname of the local bin directory: [/usr/local/bin]: The file “dbhome” already exists in /usr/local/bin. Overwrite it? 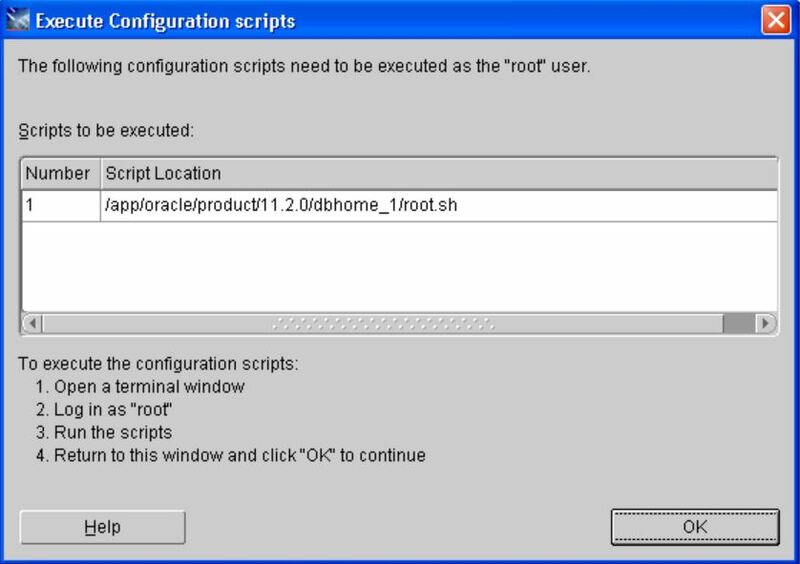 (y/n) [n]: y Copying dbhome to /usr/local/bin … The file “oraenv” already exists in /usr/local/bin. Overwrite it? (y/n) [n]: y Copying oraenv to /usr/local/bin … The file “coraenv” already exists in /usr/local/bin. Overwrite it? 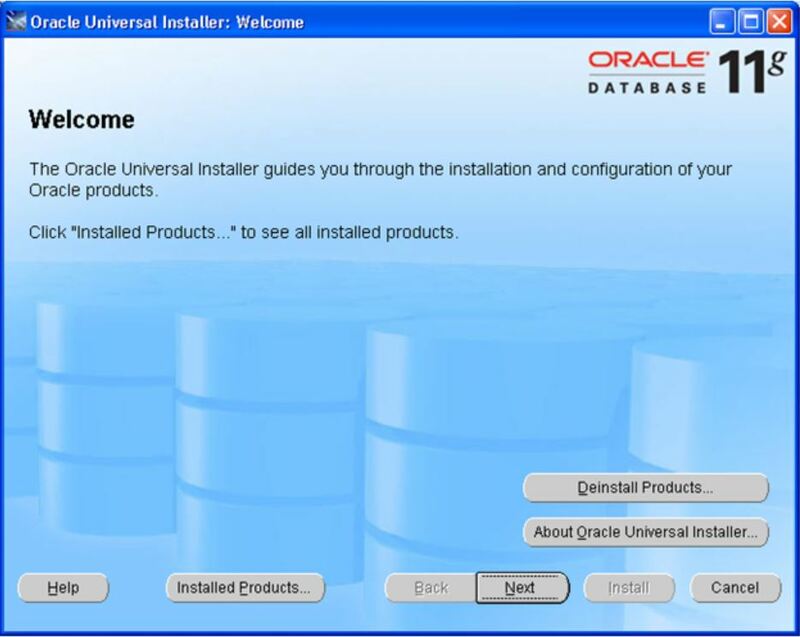 (y/n) [n]: y Copying coraenv to /usr/local/bin … Entries will be added to the /var/opt/oracle/oratab file as needed by Database Configuration Assistant when a database is created Finished running generic part of root.sh script. Now product-specific root actions will be performed. Finished product-specific root actions. 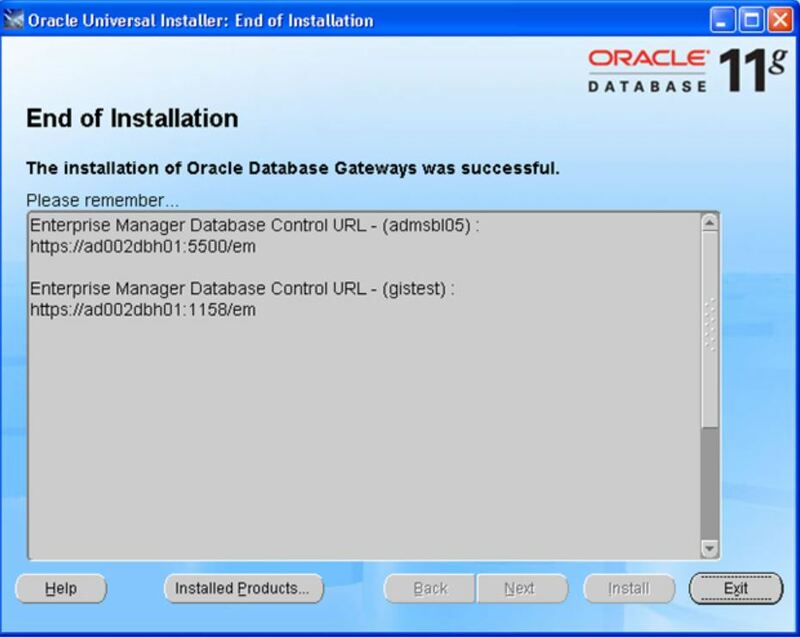 Click Exit to Finish the installation. 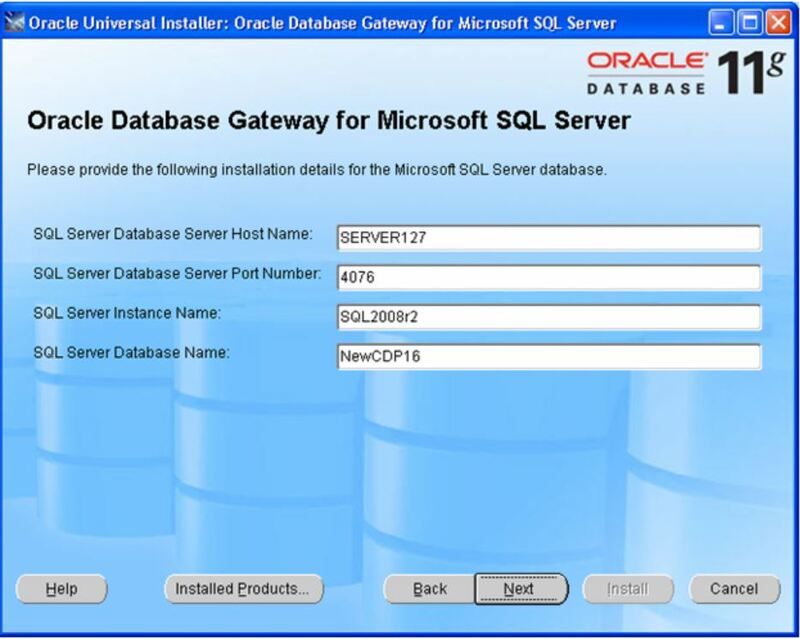 In next article we can configure Oracle Database Gateway for Microsoft SQL Server.